Already some pieces who were not original so no regrets to mod it! Then the saddle! This one ? No way ! ok now something more complex; transmission! A Maillard 700 Course will be better ! And a set of Soma Weymouth 650b rims should be perfect! Nicely done! And I agree that a 49D would be a nice change. 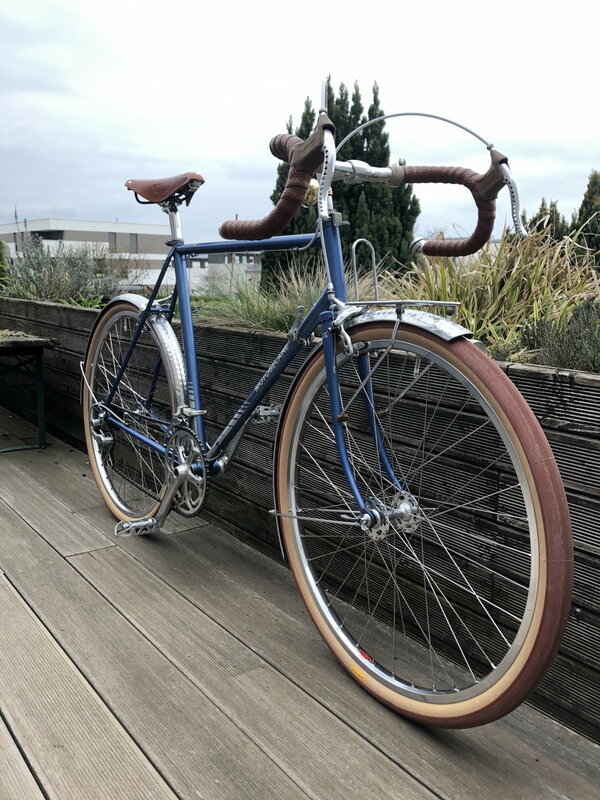 Here is my older Motobécane Grand Jubile with the parts I prefer. Unlike you, I am still using the Weinmann Vainqueur brakes; they stop well with Kool Stop brake pads. @Aubergine: it was okay with Weinmann and KoolStop pads but with the Tektro it's a huge difference! C'est jolie, c'est magnifique. 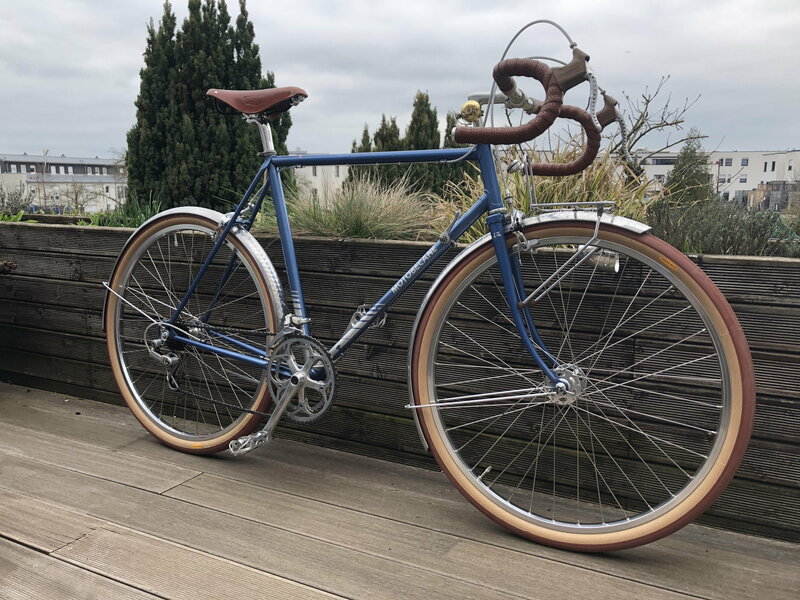 J'aime bien ce velo et j'aime bien de velos francaise. 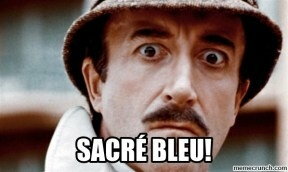 But I have forgotten how to write French, . Mais on le parle. It's very cool that it has 650 wheels. 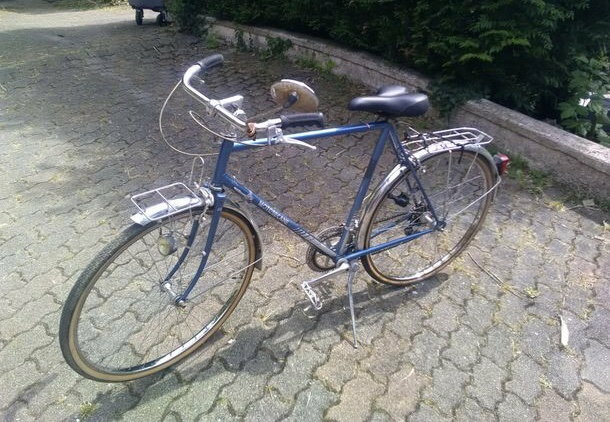 A few years ago someone gave me this European model late 70's Motobecane. It has steel rim 700c wheels. Occasionally I think about fixing it up but I lay down until the feeling passes. Looks similar to the OP's bike. Last edited by verktyg; 04-16-19 at 02:29 AM. 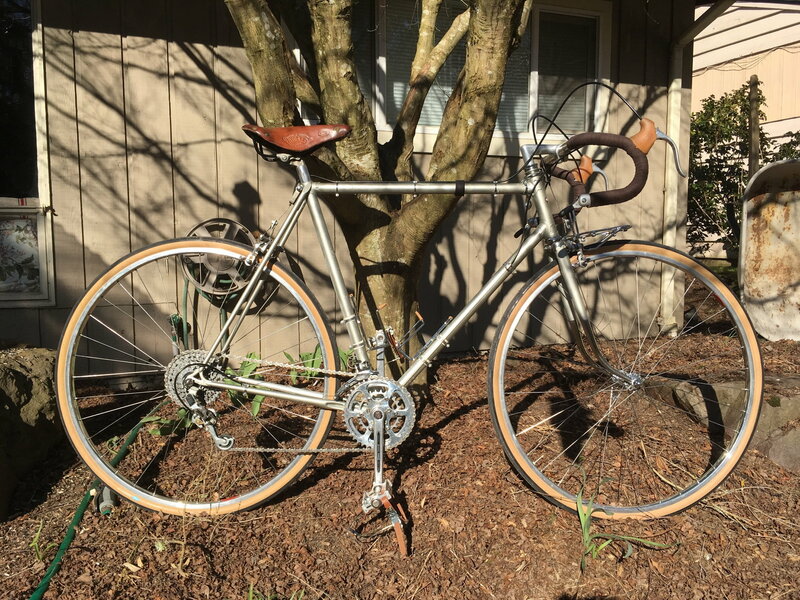 @Bikemig : Yes 650b wheels are very cool and comfortable. Last edited by GeoffroyFromLux; 04-16-19 at 12:21 AM. Indeed. Those inexpensive Motobécanes are lovely to ride once they get good wheels. I love this build @GeoffroyFromLux. 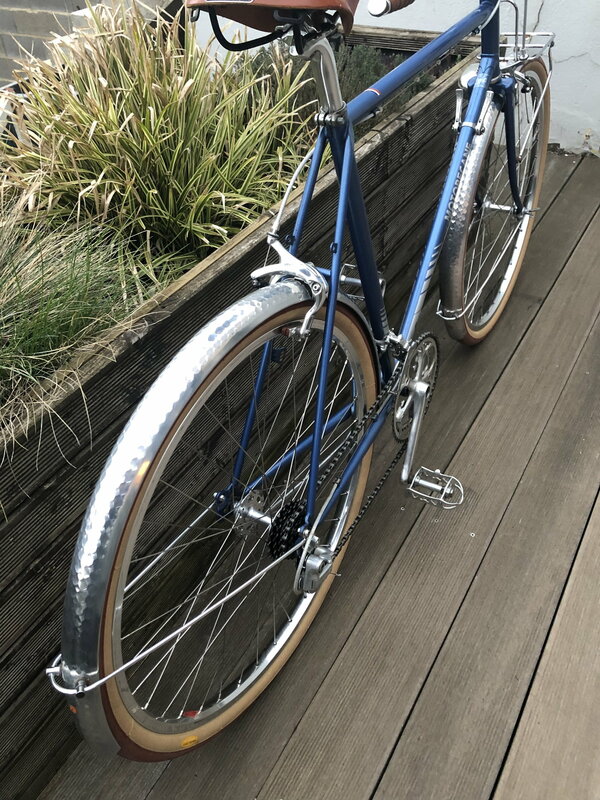 I stumbled on a late '70s Moto D21 in the same colour as the bike posted above for sale in Toronto a few weeks ago, complete with original panniers and fenders, but converted to 650B just the same. Sadly it was a bit too small for me, and the next day I found my Peugeot AO-8. Great work. 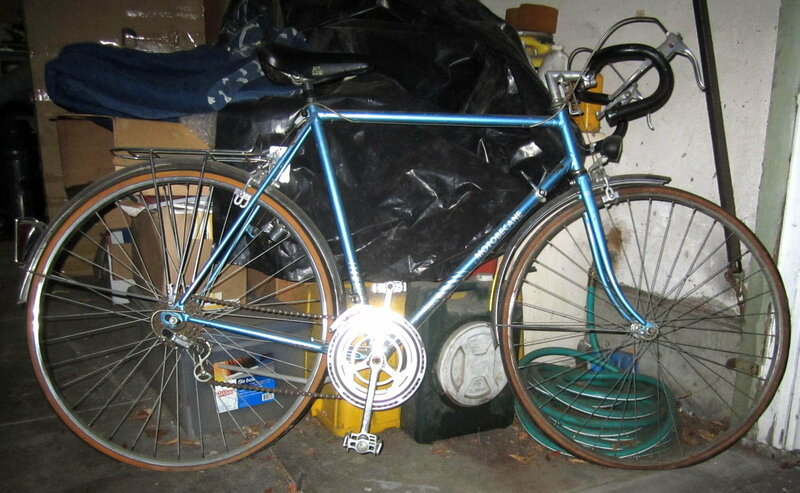 I'm excited to build my own wheelset for the Peugeot too. 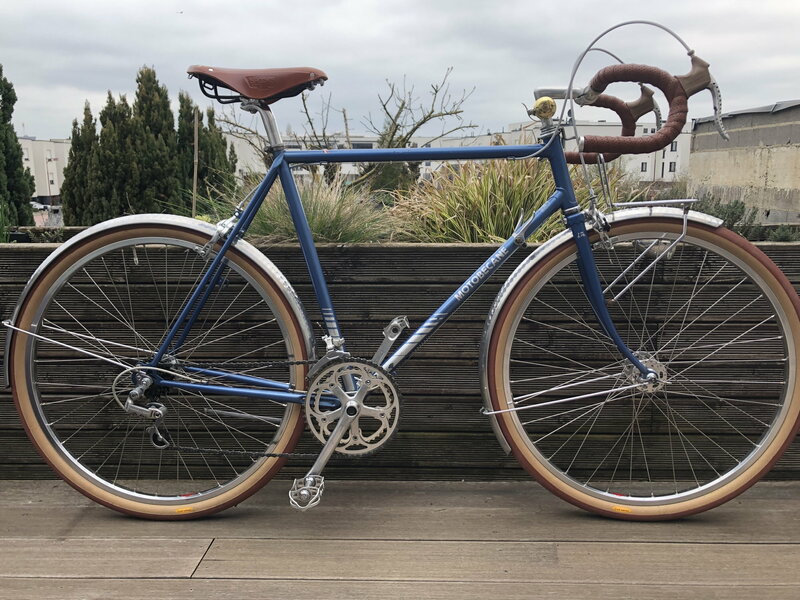 Like you, it will be my first wheel build, and I would like to find a Normandy High Flange hub for the front (I'm installing a Sturmey FW four speed hub in the rear!). Thanks a lot @Ged117 ! the Normandy are nice too, I have both but my Maillard 700 are in a bad shape so I prefer using Normandy because they're in perfect condition ! Spokes....maybe better than duct tape?